Add romantic vibe to your look in the jewellery set comprising of the necklace and earrings. 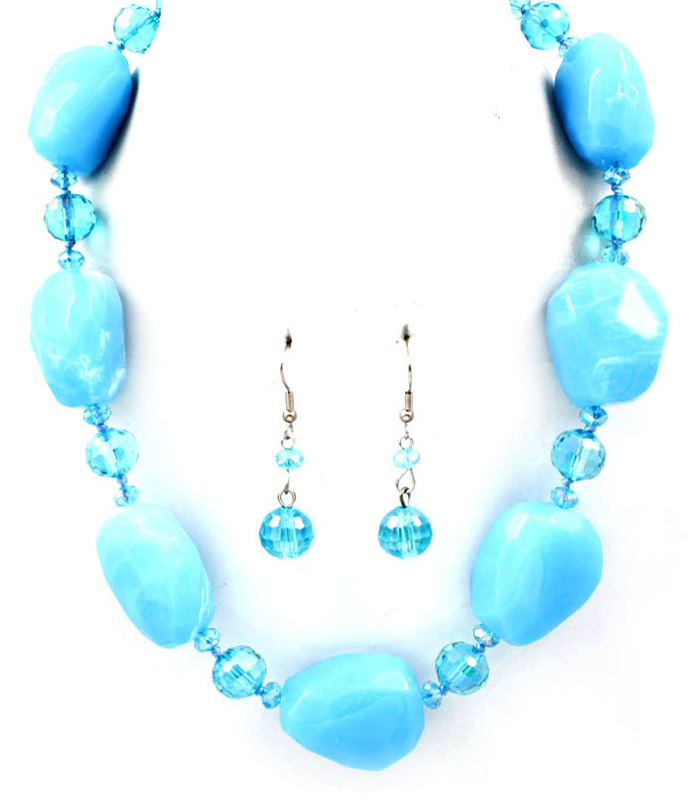 The thread features large turquoise stones of irregular shape with small round-cut clear crystals among them. Pendant crystal earrings. Add any of our attractive beaded necklaces to your favorite summer outfit and make it pop!